BLOG: What a Fantastic Week for Babies! Last week was a fantastic week for babies! We had some big wins recently, thanks to your advocacy. I could not let another day go by without recapping what happened and thanking all of you for everything you did to produce the results for New Jersey’s littlest residents. First, Governor Murphy, First Lady Tammy Murphy and Department of Human Services Commissioner Carole Johnson issued a joint announcement about how $38 million in new federal funds will be used. $30 million is targeted to raise child care subsidy rates, the first meaningful increase in more than 10 years, with the greatest increase – 25 percent – for programs caring for babies. Infant programs will also receive a higher rate for quality improvements through Grow NJ Kids. While this does not bring infant programs into full parity, it is a great step forward in addressing some of the disincentives that have made high-quality child care for babies in such short supply. The remaining $8 million is targeted to help programs come into compliance with licensing requirements and/or to improve quality. I am particularly excited by the $1.2 million that was set aside to develop more child care for babies. 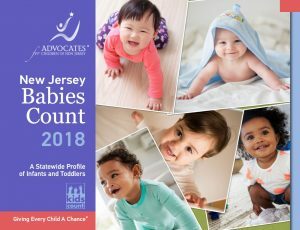 Since completing our 2017 reports on the cost of child care quality and the lack of capacity for infant care, ACNJ mounted a targeted campaign to develop more options for infant care, particularly for families relying on child care vouchers. Now, more babies will get the quality and affordable care that they deserve. This is a win! On Wednesday, the 17th, ACNJ brought independent consultant Louise Stoney to NJ to meet with a number of policymakers and advocates. 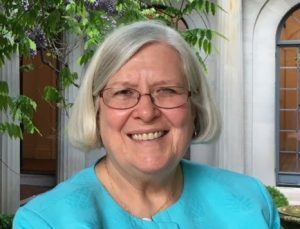 A national expert on child care financing, Louise engaged her audiences with new approaches to child care funding. She met with foundations, legislative staff and representatives from the governor’s office, as well as our Think Babies Coalition. On Thursday, the 18th, Louise testified at a hearing on child care before the Assembly Women and Children’s Issues Committee (AWI). Her ideas about shared services, tax credits and other strategies generated a lot of interest. ACNJ helped organize the hearing on child care, which featured parents, child care providers and other advocates, as well as DHS Commissioner Johnson. Monique Baptiste, a parent and great advocate from Newark, provided very compelling testimony on the challenges of finding child care, bringing the room to tears. Thanks go to Assemblywoman Mosquera, chair of the committee, for her leadership. On Saturday, the 20th, ACNJ participated in the 1st Annual Essex County Prenatal to 3 Summit, which was sponsored by several legislators and featured Lt. Governor, Sheila Oliver. Pictures from these events are on the ACNJ Facebook page. Finally, we are gearing up for our 3rd annual breakfast celebration! Supporters, advocates and staff are gathering at the Clubhouse at Galloping Hill Golf Course in Kenilworth on December 5th to celebrate big wins for kids, reminisce about the past 40 years ACNJ has been in existence, and look ahead to our future. Reserve your seats today! We are already planning our next steps – we don’t want to lose momentum – but I want to celebrate these wins and to acknowledge the remarkable ACNJ staff for their dedicated advocacy. Right from the Start NJ/Think Babies team – Diane Dellanno, Cynthia Rice, Patricia Canning and Hannah Korn-Heilner – you guys rock!